Bellamy and Clarke, together again. 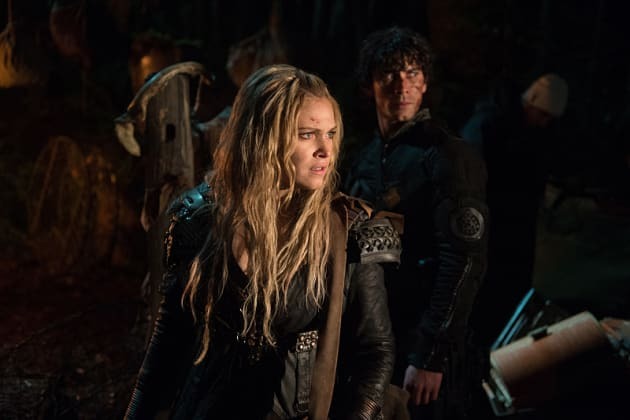 It's been a while since these two were last face to face and, if we remember correctly, they didn't exactly end things on a good note (namely, Bellamy handcuffed Clarke and Clarke escaped by tazing him). Can they put aside their differences and work together to help Raven? 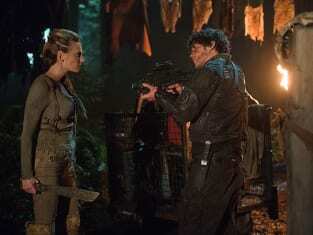 The 100 Season 3 Episode 11: "Nevermore"
You were hurting and you lashed out, because that's what you do. There are consequences, Bell. People get hurt. People die. Your people. Monroe's dead. Lincoln is dead.